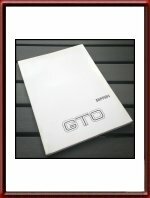 Ferrari factory original 1984 Ferrari 288 GTO Owners Manual. 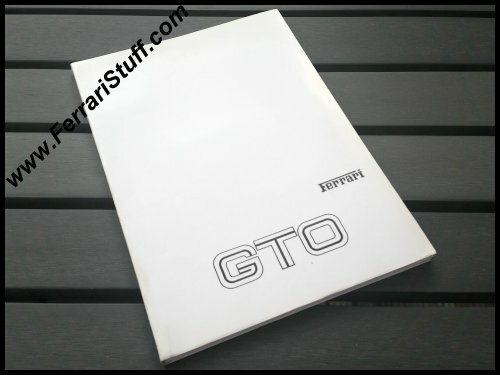 This is the semi-controversial "anastatica" owners manual for the Ferrari 288 GTO. 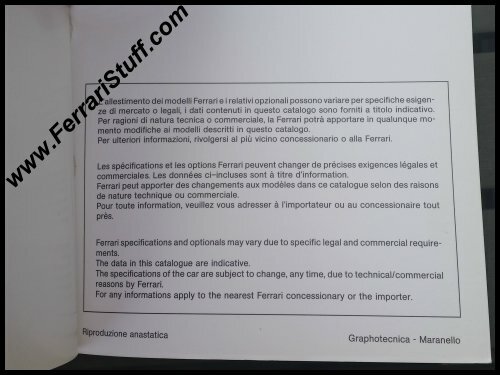 It is nicknamed "anastatica" as it is marked as such on the inside of the back cover where it says "Riproduzione Anastatica" which was merely a way to indicate the printing process that was used. Contents-wise, it is exactly the same as the version with the red cover. We have found no "logic" (yet?) 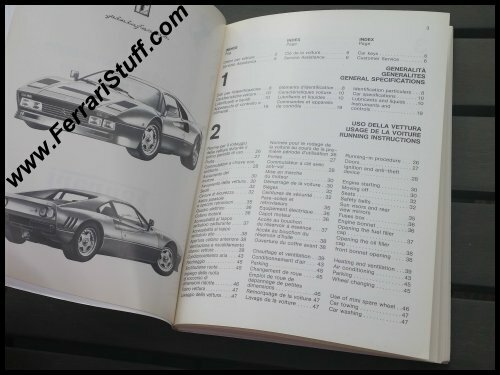 in which cars were supplied with which manual. 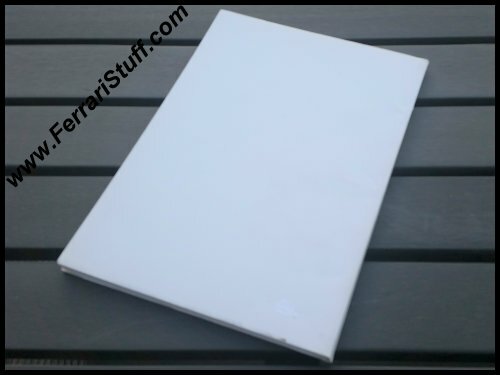 It contains 95 pages describing the owning, driving and (simple) maintenance of this Ferrari. Languages: Italian, French & English. No Ferrari Print Number but according to Michel Sauze's book, it was issued as a temporary manual in late 1984. Contrary to the "regular" manual which was printed by Grafiche Rebecchi in Modena, Italy, this one is printed by Graphotecnica in Maranello. Excellent condition, factory original NOS with a small spot on the rear cover.